Ignatius, courtier and knight, was wounded at the siege of Pampeluna. During his long convalescence the reading of the lives of the Saints revealed to him that the Church militant needed an army of glorious soldiers to fight the forces of Satan: Pagans, Mohammedans, Protestants, etc. He founded the Society of Jesus and as first General of this new spiritual chivalry he moved to the attack under the motto: "Ad majorem Dei gloriam - To the greater glory of God!" He died with the Holy Name of Jesus on his lips in 1556. O GOD, Who to spread the greater glory of Thy name, didst, by means of blessed Ignatius, srengthen the Church militant with a new army: grant that with his help and through his example we may so fight on earth as to become worthy to be crowned with him in heaven. Through our Lord Jesus Christ, Thy Son, Who liveth and reigneth with Thee, in the unity of the Holy Ghost, God, world without end. Amen. The real meaning of veiling is given to us by the earliest mention of a veiling-a covering-that we find in Holy Scripture. 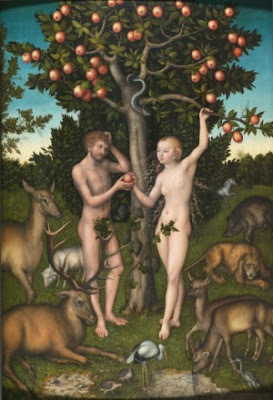 After the Fall, Adam and Eve discovered to their horror "that they were naked", and they made clothes from leaves. There is something profoundly disturbing about this passage, for, according to the teaching of Genesis, man was created perfect; his nakedness was, not a defect, but an expression of his likeness to God. After the breaking of God's command, the defect is suddenly there, although man remains outwardly unchanged. He has lost something; it is not there, and it awakens a sense of loss within him. Theology calls this defect the loss of grace. Man clumsily tries to make up for this loss. He puts clothes on to try to regain the radiance that had formerly surrounded him. Veiling, therefore, becomes a visible sign of the nimbus of grace and holiness that has become invisible to human eyes. Veiling, in the liturgy, is the halo that is by nature appropriate to the sacred vessels and their even more sacred contents. This must never be forgotten if these vessels, signs, and Hosts are to be correctely understood. Veiling, in the liturgy, is not intended to withdraw some object from view, to make a mystery out of it, or to conceal its appearance. The appearance of the veiled things is common knowledge anyway. But their outward appearance tells us nothing about their real nature. It is the veil that indicates this. If one wanted to formulate a theological doctrine of the veil, one could say that God's creation is real, but this reality, this ability to be real, is weakened because of original sin. Its lack of reality, its lost ability to radiate beyond itself and manifest itself as the Creator's thought is designated by the veil that represents this radiance...In this context, a liturgy that renounces all veiling has nothing to say. Presenting us with nothing but naked materiality, it takes account neither of creation's supernatural perfection nor of the world's need of redemption (Mosebach, 171-173). In the Traditional Latin Mass, veiling was commonplace; everything was veiled in one way or another. The sacred vessels all had veils proper to them, and the communion rails were a kind of veil delineating the sacred space of the nave apart from the congregation. The liturgical vestments of the priest are a kind of veil; each vestment represented a certain virtue, and all of them together represented the "New Man" that the priest sacramentally becomes as he offers the sacrifice and that every Christian will become on the day of resurrection when our lowly bodies are clothed in resplendent glory. The priest's body itself, in the Old Mass, is a type of veil that hides the mystery of the sacrifice, like a living iconostasis. In the Mass of Pope Paul VI, nothing is veiled. The only veiling left is (perhaps) the veiling of images on Holy Week, but this has often gave way to artificial and stupid practices like emptying the holy water fonts and putting sand in them (real nice emptying the fonts of their sacramental holy water during the season when we all need it the most!). As Mosebach says, when we remove the veils, we lose the mystery of what we are doing at Mass, of the holiness of the vessels and their contents, of the mystery of Christ's death and even of our own transformation in Him. It may just be a symbolic gesture, but a religious devoid of symbol is nothing but a cold mental abstraction, a religion of philosophers and professors, not the faith of the common man and certainly not the faith of the God-Man who so loved matter that he became it for our salvation and continues to become it every time the priest says the words of consecration. It usually that when one takes it upon themselves to be a commentator matters liturgical and (often times) takes the bishops and even the Pope to task for decisions that may not be in the best interest of the Church, people start to question your orthodoxy and wonder whether or not you are a schismatic, sedevecantist, or something worse. 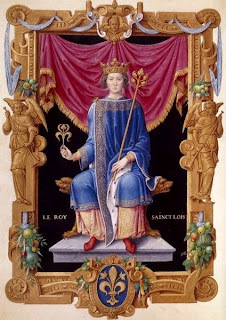 I thought, therefore, it prudent to put up a little statement about what the position of Anselm and I is regarding the liturgy, the Mass and the Second Vatican Council. 1) The Novus Ordo is wonderful, especially when it is a playground for liturgical creativity. Guitars, drums, Buddhist meditation, lay people giving the homily, feminist language, clowns; anything goes so long as the people are entertained. Anything prior to 1967 is suspect. 2) The Novus Ordo, as it is celebrated in most parishes today, is acceptable. While clowns, guitars and Buddhism are seen as grave abuses, celebrating versus populum, in the vernacular, using Protestant hymns and sappy Haugen-Hass songs is deemed acceptable. I think most parishes fall in this category. 3) The Novus Ordo is the ordinary form of the Roman Rite and should be celebrated strictly according to the rubrics and in light of Church Tradition: this means ad orientam, in Latin, with communion rails, and so on. The abuses of positions 1 & 2 are condemned, but the Novus Ordo itself is upheld. An example of this position is Fr. Joseph Fessio. 4) The Novus Ordo, while being a valid form of the Mass validly promulgated by the legitimate Second Vatican Council, was nevertheless a terrible idea. Not only the abuses but the Mass itself are wrought with grave omissions and ambiguities. The Traditional Mass of Pius V should be the normative Mass of the Roman Rite and the Novus Ordo ought to be abolished, maybe gradually, maybe immediately, but in any case phased out. This position is in line with the concerns of the Ottaviani Intervention of 1967. 5) The Novus Ordo is an invalid Mass promulgated by a Council that was probably also invalid. Only the Mass of Pius V has any validity. The hierarchy has slipped into wholescale apostasy. Now, position 1 is the one that attracts the most attention because the abuses are most grievous there. For this reason, most conservatives will expend most of their liturgical ire combating those in position 1. They are right to combat this position, for position 1 represents the most aggregious offense against God. Position 2, the safe mainstream, is attacked also by conservatives, but not as vehemently. Most conservatives see no problem celebrating versus populum if the bishop has allowed it. For those in position 2, all options are equal in merit. They are in favor of girl altar servers if girl altar servers are allowed; but if tomorrow altar girls were forbidden, they would be ready with all of the reasons supporting the change. Whatever is the status quo is what they support. Position 3 is that of what I would call the hardline conservatives, those who, like Fr. Fessio, want to see a strict implementation of the Novus Ordo. But the Novus Ordo itself, free from abuse, is just as good as the Traditional Mass; in fact, many will say it is better and will repeat the words of Paul VI and John Paul II that we needed a new rite of the Mass and that the liturgical renewal of Vatican II was somehow necessary. Now, position 3 and position 4 are the difference between a conservative and a traditionalist, for a traditionalist sees the Novus Ordo itself, even in Latin and ad orientam, as problematic. If position 3 and position 4 is the difference bewteen a conservative and a traditionalist, then position 4 and position 5 is the difference between a traditionalist and a sedevecantist or a schismatic. Position 5 differs from position 4 not in its adherence to the old rite (which both positions share) but in its estimation of the validity of the Novus Ordo, of the Council and (sometimes) of the pope himself. So then, back to our original question; where do we at Unam Sanctam Catholicam fall? We would hover between position 3 and position 4: that the Novus Ordo is a valid Mass and that Vatican II was an authentic ecumenical council, but that the implementation of Vatican II, many of the Council documents, and certainly the liturgical reforms are full of problems. The surest route to a true restoration of Catholic Tradition is to restore the Rite of St. Pius V (ie, of Gregory the Great) as the missa normativa of the Roman Rite. The Novus Ordo ought to be cast off as a failed experiment (for that's what it truly is: a liturgical experiment, an artificial creation in a liturgical labratory, a test-tube baby of the Church with no precedent in Tradition), and the sooner it is done away with the better. Pope Benedict XVI recently gave a talk in which he brought up the pertinent point that belief in a Creator does not exclude belief in some kind of evolution, and evolution does not need to imply a rejection of a Creator. This is an important point to make, especially as the so-called opposition between creationism and evolution so often clouds the debate on human origins and the proper interpretation of Genesis 1. Benedict is here reminding us of what Pius XII taught in Humani Generis: that it is permissible to acknowledge that some sort of evolution of the form of the human body took place, so long as one asserts the unique creation of the human soul directly from God, the historicity of Adam and Eve and the reality of original sin. However, this grudging admission of evolution as a possibility (Benedict says there are good scientific grounds for evolution, which I think he is dead wrong about) is something novel to the Church. While we may be allowed to believe in a limited evolution, Church Tradition clearly favors an immediate Creation (versus an evolutionary one) with fixity of species (versus an elasticity of species). Church Tradition is solidly behind species being fixed, and we ought not to rashly abandon 2,000 years of tradition just because the Pope tells us it is permissible to believe in evolution under certain circumstances. That is the problem with today's Catholics: we take what is granted permissively as an exception and make it the rule. Just because the Pope says we may consider evolution a viable hypothesis does not mean we all need to jump to embrace it; indeed, the willingness with which so many Catholic priests, bishops and lay people accept the provisionary indult to believe in a limited evolution demonstrates how eager the current Catholic culture is to embrace modernism. And that certainly is a problem. Click here to read the Pope's comments. "Perhaps the greatest damage done by Pope Paul VI's reform of the Mass (and by the ongoing process that has outstripped it), the greatest spiritual deficit, is this: we are now positively obliged to talk about the liturgy. Even those who want to preserve the liturgy or pray in the spirit of the liturgy, and even those who make great sacrifices to remain faithful to it-all have lost something priceless, namely, the innocence that accepts it as something God-given, something that comes down to man as a gift from heaven. Those of us who are defenders of the great and sacred liturgy, the classical Roman liturgy, have all become-whether in a small way or a big way-liturgical experts. In order to counter the arguments of the reform, which was padded with technical, archaeological, and historical scholarship, we had to delve into questions of worship and liturgy-something that is utterly foreign to the religious man [ie, the man whose religion is so natural to him as to be unintentional and reflexive]. We have let ourselves be led into a kind of scholastic and juridical way of considering the liturgy. What is absolutely indispensible for genuine liturgy? When are the celebrant's whims tolerable, and when do they become unacceptable? We have got used to accepting the liturgy on the basis of minimum requirements, whereas the criteria ought to be maximal. And finally, we have started to evaluate liturgy-a monstrous act! We sit in the pews and ask ourselves, was that Holy Mass, or wasn't it? I go to church to see God and come away like a theatre critic. And if, now and again, we have the privilege of celebrating a Holy Mass that allows us to forget, for a while, the huge historical and religious catastrophe that has profoundly damaged the bridge between man and God, we cannot forget all the efforts that had to be made so that this Mass could take place, how many letters had to be written, how many sacrifices made this Holy Sacrifice possible, so that (among other things) we could pray for a bishop who does not want our prayers and who would prefer not to have his name mentioned in the Canon. What have we lost? The opportunity to lead a hidden religious life, days begun with a quiet Mass in a modest little neighborhood church; a life in which we learn, over decades, discreetly guided by priests, to mingle our own sacrifice with Christ's sacrifice; a Holy Mass in which we ponder our own sins and the graces given to us-and nothing else; rarely is this possible any more for a Catholic aware of liturgical tradition, once the liturgy's unquestioned status has been destroyed" (Mosebach, 25-26). I have this book linked on the sidebar if anybody wants to purchase it. I can't recommend it enough. There is a fine but necessary distinction that has been made, mainly by traditionalists, on the difference between conservative Catholicism and traditionalism. Now, by definition, "conservative" means one who wants to conserve the status quo. In politics, conservative is opposed to "liberal", one who believes in progress and change. In Catholic circles, conservative tends to simply mean doctrinally orthodox and, following the political paradigm, is opposed to Catholic liberalism which wants to change the Church's teaching. It is my assertion, and the assertion of other traditionalists, that this equation of the conservative Catholics with orthodoxy is misleading, mainly for two reasons: 1) Political paradigms do not apply to the Church, and 2) To be a political conservative and an orthodox Catholic are not the same thing. Orthodoxy means "right thinking" and applies to one who holds to the teachings of the Catholic Church (now, pay attention to this here!). Traditionally, Catholic doctrine was best explained by the most recent Church pronouncements. For example, Nicea made distinctions which prior to it were more unclear, Lateran IV cleared up problems of the early middle ages, Trent made dogmatic distinctions on debated issues regarding Protestantism, and Vatican I cleared up questions of papal infallability. Traditonally, if one wanted to know the teachings of the Church, they were best found in the decrees of the most recent ecumenical council. This is because 1) The councils always clarified disputed or ambiguous points, and 2) The decrees of the councils were always made in the context of the totality of Catholic Tradition. Therefore, a council was able at the same time to be a faithful safeguard of Catholic Tradition and render distinctions and clarifications that were necessary. There was never a dichotomy between adopting needed reforms and maintaining Catholic Tradition. Therefore, for most of Catholic history, the true test of orthodoxy was adhering to the most recent ecumenical council of the Church. There were times when being a Chalcedonian Catholic or a Tridentine Catholic simply meant that you were adhering to the decrees of the last ecumenical council (as opposed to dissident groups, like the Old Catholics, for example, who rejected the decrees of Vatican I). Now, unfortunately, this state of affairs no longer exists. Orthodoxy can no longer be interpreted to mean simple adherence to the latest council (Vatican II) because, unlike every other council since the beginning of the Church, Vatican II did not clarify anything but made every disputed point more ambiguous, actually created more distinctions and arguable positions and furthermore failed to pass on Catholic Tradition in its fullness. Therefore, today in 2007, one who holds solidly to the teachings of Vatican II alone without reference to the prior 2,000 years of Tradition, may still be doctrinally orthodox, but they fail to grasp the majority of Catholic teaching and practice that existed prior to the great muddying of the waters that occured in the 1960's. I would say that, in this sad time in the Church, it is no longer good enough to be simply orthodox (if we interpret orthodoxy in its popular meaning of adherence to the doctrines of the Church as promulgated by the latest ecumenical council). Perhaps we should bring into the picture Fr. Ripperger's distinction between intrinsic Tradition (things like the form of the sacraments) and extrinsic Tradition (things like traditional spiritualities, Catholic archtitecture and art, the Divine Office, Gregorian Chant). Extrinsic Tradition is exactly what was jettisoned after Vatican II; whether it was intentional or not is of no matter, for they were done away with just the same. If one adhere's only to Vatican II and does not take into account the previous 2,000 years of Magisterial teaching (many of the disciplines of which are still binding), one misses out on the bulk of what it means to be Catholic. When we say "orthodox," we must render its definition more inclusive by containing within the term not only adherence to the most recent Magisterial definitions, but also the totality of Catholic Tradition as passed down from the founding of the Church, with all its multiform incarnations in the realms of art, music, theology and spirituality. Catholic means universal, in the sense that it encompasses all peoples but also that it preserves the Traditions of the Church for all time. To be a faithful Catholic in the fullest sense of the word is to embrace Tradition. I don't know of any other way to phrase it. "He (Mohammed) seduced the people by promises of carnal pleasure to which the concupiscence of the flesh urges us. His teaching also contained precepts that were in conformity with his promises, and he gave free rein to carnal pleasure. In all this, as is not unexpected; he was obeyed by carnal men. As for proofs of the truth of his doctrine, he brought forward only such as could be grasped by the natural ability of anyone with a very modest wisdom. Indeed, the truths that he taught he mingled with many fables and with doctrines of the greatest falsity. 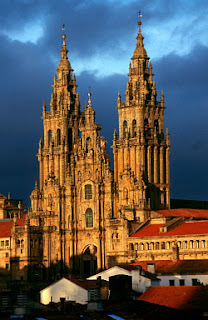 The Church of Santiago de Compostella, Spain. This famous Catholic Church dedicated to St. James the Muslim-Slayer (Santiago Matamoros) houses the glorious Apostle's Holy Relics. St. James, called the Greater, preached the Gospel in Judea, Samaria, and Spain. On his return to Jerusalem, Herod condemned him to death: he was beheaded in 42. His body was conveyed to Compostella (field of stars) in Spain, and is venerated by many pilgrims. Be Thou, O Lord, the Sanctifier and Protector of Thy people: so that defended by the aid of Thine Apostle James, they may please Thee in thier manner of life, and serve Thee in peace of soul. Through our Lord Jesus Christ, Thy Son, Who liveth and reigneth with Thee, in the unity of the Holy Ghost, God, world without end. Amen. In the world of theology, there are so many subtelties, novelties and ambiguities that one who is not anchored steadfastly in the Faith of the Fathers can easily go astray. Jesus warned that the path to destruction is broad, and the road that leads to life is narrow, and there are "few who find it." When Christ came into the world at His Advent, it was through Mary. And Mary today continues to be a bulwark against heresy and a sure sign of the truth. The Little Office of the Blessed Virgin Mary, composed in the 9th or 10th century, says, "Rejoice, Virgin Mary, you alone have destroyed all heresies throughout the world." How does Mary destroy all heresies? 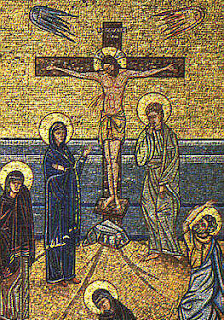 In several ways: by her conception of the One Who is Truth, she bears unique witness to the Truth and in her very person is a sign against those who would deny that the Second Person of the Trinity became flesh (the source of all heresy); furthermore, by her role as spouse of the Holy Spirit and mediatrix of grace she obtains for the Church the graces to bear witness to the Truth and to call out heresy when it is seen. This is not obscure theology; it is very practical. Have you ever noticed how all modern heresies have one thing in common? They all leave out Mary. Let's look at a few. 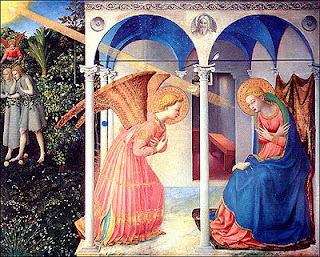 Protestant-influenced biblical criticism sees Marian devotion as a superstitious accretion from the Middle Ages; post-Vatican II modernist theology has downplayed Marian devotion to the point that (while the Rosary has not disappeared) Marian devotions like the Angelus, May Crownings, the Litany of Loreto and others are almost unknown. Feminist theology sees Mary as a sign of the submissive, male-dominated woman who must not be emulated but scorned. Protestantism has a long and well-known aversion to Mary because they fear that one commits idolatry in honoring her. Liberation theology has no place for Marian devotion because Marian devotion always encourages humility and submission, not revolution and envy. All of these heresies have one thing in common: they reject traditional Marian devotion. As Fr. Chad Ripperger says, authentic spirituality is always Marian in character. As all graces come through Mary's hands, it seeks her intrecession; as she is the model of virtue, it seeks to emulate her; as she is the Mother of Christ, it always sees her as a unique and glorious pathway to the heart of her Son. Any heresy that rejects Christian morality, traditional Christological theology or historic Christianity must necessarily reject Mary as well, for outside of Traditional theology, morality and history, her role makes no sense to the dissenter and heretic. Therefore, we can acclaim with the Little Office that she is a destroyer of heresies and can look for her presence as a sure sign of orthodoxy. The Holy Father Pope Benedict XVI has expressed his wishes that the faithful youth attending WYD 2008 in Sydney, Australia grab hold of three main truths. Zenit.org reports that "The Holy Father presents three objectives to the young people, both those who will be in Sydney and those who are unable to attend. (1) He invites them to "recognize the true identity of the Spirit by listening to God's word in the revelation of the Bible." (2) He suggests they "learn about his continuous and active presence in the life of the Church, in particular rediscovering that the Holy Spirit is the 'soul,' the life-giving breath of the Christian life, thanks to the Christian sacraments of initiation -- baptism, confirmation and the Eucharist." (3) Finally, he exhorts them to "deepen their understanding of Jesus and at the same time to implement the Gospel at the dawn of the third millennium." 1) It is primarily through the Church that we encounter Christ through His Spirit. 2) In being the soul of the Church and the source of the sacraments' power, the Spirit causes the Church to be both a natural and a supernatural entity, whose workings and ends cannot be explained in merely natural terms. 3) Understanding the Church's mission and teachings as proceeding from the Spirit who guides her reinforces our understanding that the Church's dogmas and disciplines come not from men, but from the Spirit of Christ, Who was given to the Church that He might sanctify her. Let us all pray to the Holy Spirit for a fruitful World Youth Day. Hopefully, Benedict will celebrate the WYD Mass according to the Missal of Bl. John XXIII and will not repeat some of the shameful liturgical abuses that often occurred during John Paul II's WYD Masses. Click here to read the Zenit article on Benedict's statements. He said, "People no longer see natural disasters as an act of God...However, we are now reaping what we have sown. If we live in a profligate way then there are going to be consequences," said the bishop, who has previously been seen as a future Archbishop of Canterbury or York. "We have a responsibility in this and God is exposing us to the truth of what we have done." Liberal theologians of all denominations - and even some conservative ones - quickly pounced on him and said that the floods were due to global warming or some other cause. They retorted that God does not act the way that the Bishop asserted; they argued that God would not use natural disasters as punishment for sin. I say, "Why not?" Let's look at the facts here: God destroyed the world with a flood once because of men's sins. He destroyed the Five Cities of the Plain by fire and brimstone because of the sins of Sodom and Gomorrah. He sent plagues upon Egypt (and upon the Philistines when they had captured the Ark), overthrew Nineveh and Babylon and finally overthrew Jerusalem in the year 70 AD because of sin. Everybody acknowledges these things. But God forbid somebody today assert that God is responsible for a natural disaster, or that this disaster could be a punishment for sin! Then people start shouting that God "does not work that way" and that it is a "simplistic" understanding of God. Why? All events are caused, directly or indirectly, by God. Natural disasters have always been seen as God's judgment; and this crosses denominational lines. Well, guess what? 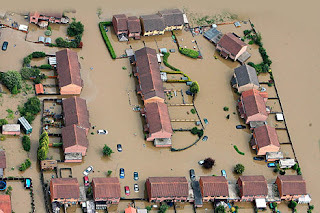 The floods have gotten dramatically worse since the Bishop's statements, as if to confirm them (in my opinion). A UK official reported that these are the "worst floods in modern histoy" and they have already blown away the previous record set in 1947. Over 350,000 are without homes or power and there has been a humanitarian crisis declared; looting and panic and spreading as the Thames and Severn continue to rise. And there is no end in site. The UK news reported that "Forecasters have said there will be no let-up in rainfall in the week ahead." 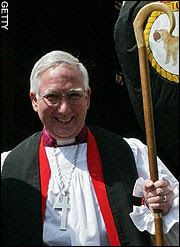 Well, what are the scoffers saying about the bishop's statements now? It may be a judgment of God, it may not be; there is simply no way to tell. And just to keep it balanced, we must note obviously that just because God can make a natural disaster into a judgment does not mean all natural disasters are judgments. But we know for a fact that God has once in the past punished sin by flooding. Why on earth is it not feasible that He would do it again? God can still smite people if he wants to; and why not for moral degeneracy? The Gates of Hell, from Dante's Inferno. In ages past, it was believed that theological and canonical censures could place one outside of God's grace. How many modern theologians are intimidated by such a proposition today? Since the quiet dropping of the use of the condemnatory formula anathema sit by the post-Vatican II Magisterium, the Church has lost one of its most potent weapons against error. Many objected to the process of defining truth by condemning its contraries; they said this was dogmatic, narrow minded and arrogant. First of all, I would not say that "dogmatic" is a bad word; I wish pronouncements of the Church were more dogmatic and less pastoral in tone. But at any rate, the point is that truth, by its very nature as an existential affirmation, implies a negation of the opposite. For example, we can phrase the truth 2 + 2 = 4 in the affirmative, by saying, "It is true that 2 + 2 = 4." Now, we could also phrase this same truth in the negative, "If anyone says that 2 + 2 does not equal 4, anathema sit." If the positive is affirmed, then the negative is denied. It is not about intolerance, but simply about precise division of right from wrong. When we talk about precise division of right from wrong, we are getting into the area of theological censures. A theological censure is a judgment by the Church on a particular teaching or proposition (not to be confused with a canonical censure, which applies to persons and not to statements). Nowadays, most Catholics are only familiar with one form of theologcal censure: heresy. However, the dividing line between heresy and orthodoxy is not a division between black and white. Before Vatican II, the Church has a whole slew of judgments it rendered against propositions suspected of heresy, the most serious being the judgment of heresy with the subsequent declaration of anathema sit. But there are other levels or "grades" of theological error; a statement can be not outright heretical but be simply ambiguous. Some may not be heretical in that they deny a de fide doctrine, but that their conclusions could lead to thinking that would be heretical. Let's take a look at some of these theological censures. Heretical propositions are divided into three groups according as they bear principally upon (1) the import (what is said) (2) the expression (how it is said) (3) the consequences (what they lead to). Of import, we have hæretica (heretical), erronea (erroneous), hæresi proxima (next to heresy), errori proxima (next to error), temeratia (rash), etc. A "heretical" proposition is one that immediately and directly denies a de fide teaching. It is "erroneous" when it denies an article of faith that is certain (certa) but not de fide. "Next to heresy" and "next to error" means its opposition to a revealed and defined dogma is not certain, or chiefly when the truth it contradicts, though commonly accepted as revealed, has yet never been the object of a definition (proxima fidei). Something "next to heresy" could be defined as sapiens haeresim ( smakcing of heresy) or suspecta de hearesi, errorem (suspected of heresy or error). These are propositions which, though true textually, may due to modern currents of thought, be interpreted in a heretical way. Next we come to the question of expression, or how the proposition is expressed. Here we ca define four censures: ambigua (ambiguous), captiosa (captious), male sonans (evil-sounding), piarum aurium offensiva (offensive to pious ears), etc. A proposition is ambiguous when it is worded so as to present two or more senses, one of which is objectionable; captious when acceptable words are made to express objectionable thoughts; evil-sounding when improper words are used to express otherwise acceptable truths; offensive when verbal expression is such as rightly to shock the Catholic sense and delicacy of faith. Finally, we come to the question of consequences. Here we are dealing with what state of affairs the condemned propositions may lead to: subsannativa religionis (derisive of religion), decolorativa canodris ecclesiæ (defacing the beauty of the Church), subversiva hierarchiæ (subversive of the hierarchy), eversiva regnorum (destructive of governments), scandelosa, perniciosa, periculosa in moribus (scandalous, pernicious, dangerous to morals), blasphema, idolatra, superstisiosa, magica (blasphemous, leading to idolatry, superstition, sorcery), arrogans, acerba (arrogant, harsh), etc. This is not even an exhaustive list of the third group. Now, here is the question: how many of these censures have you heard used in the past forty years? Yep. None. Why is there such a problem with ambiguity and misunderstanding in the Church? Sure, those who are guilty of it do it on purpose, we know. But if the Church's Magisterium would use the precise tools it has at its disposal to firmly define and divide the true from the false, these wolves in sheeps' clothing would be called out and would no longer be able to hide under the mantle of the Catholic name. The bottom line is, the Magisterium could take action against heresy and all of these other evils if it wanted to. It is just too timid to do so. "It seems impossible for God to solve the dilemma of justice versus mercy, but we know from the Gospel account how he does it. The problem is that he cannot, it seems, do both; he must either exact the just penalty for sin - death - or not. Mercy seems a relaxation of justice, and justice a refusal of mercy. Either you punish or you don't. The laws of logic seem to prevent God from being both just and merciful at the same time... God solves this dilemma on Calvary. Full justice is done: sin is punished with the very punishment of hell itself - being forsaken of God (Mt 27:46). But mercy and forgiveness are also enacted. The trick is to give us the mercy and him the justice" (Handbook of Christian Apologetics by Peter Kreeft and Ronald K. Tacelli, p. 127). I have seen and heard Christ's atonement described in such ways by Catholics time and time again. There are a number of gaping flaws in this Protestant theory: first, what is just about condemning an innocent man to die in another's place? And what happens to the concept of forgiveness if God does, in fact, exact the full punishment for sin, just from another party? According to this theory, God's righteous anger against us is not withheld but merely redirected. Furthermore, if Christ is supposed to suffer the punishment that we all ought to have suffered on account of sin, simply dying certainly wouldn't cut it, the punishment of sin is eternal separation from God - He would have to accept this. The authors above try to deal with this by pointing to Matthew 27:46 "My God, my God, why have you forsaken me?" as if this points to a real separation between Father and Son. Anyone, however, who is familiar with Trinitarian theology knows this to be absurd. The Persons of the Godhead are certainly inseparable. Even if Matthew 27:46 did indicate a separation of the Son from the Father, the punishment of sin, which He is supposedly accepting, is eternal separation from God, not a three day separation from God. Again, if Christ has actually been punished for all sins committed throughout all time by all men, what is to stop us from sinning freely? God would be unjust to punish both Christ and us for the same sin, and having alreadly punished Christ, He could not punish us. This leads swiftly into one of two places, universalism - the belief that all will be saved, or Calvinist double predestination - wherein Christ only died to save some men. This solves the problem by positing that Christ accepted the punishment only for the elect and therefore God can still punish the damned (this does still leave the elect free to sin without fear). Why, then, do explanations like Kreeft's and Tacelli's above seem to be so widespread in popular Catholic thinking? And what is the big deal? Here is a hint: there is one more major problem with the Protestant theory of penal substitution. It leaves no room for a perpetual sacrificial propitiation for sins, i.e. the Holy Sacrifice of the Mass. Think about it. If Christ, in dying on the Cross, accepted the punishment then and there of all men, what need is there for a continual sacrifice, the purpose of which is to appease God's anger and assuage His wrath? None. The only sensible purpose of the Mass then would be to provide us an opportunity to receive Him sacramentally in Holy Communion (and I know many Catholics who see this as the primary, indeed the only, purpose of the Holy Mass). This, I think, goes a long way to explaining the inverted emphasis on the meal/communion aspect of the Mass over against the sacrificial aspect of the Mass. When one's understanding of the atonement is so far Protestantized as to think in terms of penal substitution, it is hard to see why the Mass should really be anything more than a Communion service. If I could be so bold as to add another step into Fr. Z's famous plan to save the world: Understand the Atonement; Save the Liturgy; Save the World! 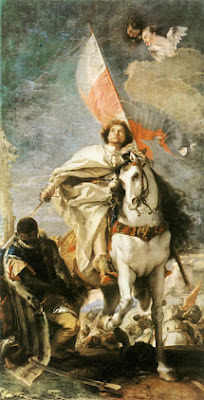 St. Anselm, ora pro nobis! P.S. I wrote this assuming our esteemed readership to be sufficiently familiar with Catholic theology as to know what the Catholic theory of the Atonemen, admirably explained by St. Anselm, really is. To refresh your memory, see St. Anselm's Cur Deus Homo? and the Catholic Encyclopedia. I recently had a chat with a parish priest regarding how to determine when a hymn is suitable to use in Mass (reference note: using "hymns" is somthing foreign to the Traditional Mass; the music of the Mass was simply the prayers of the Mass set to Gregorian Chant. Having "hymns" is a Protestant invention that was only introduced, illicitly, into the Mass of Paul VI after 1969). 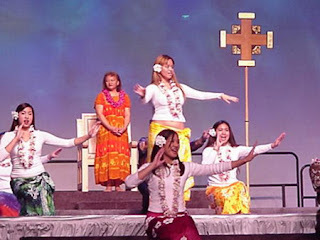 The hymn in question was the hymn "This Day God Gives Me", the text of which is based on the Breastplate of St. Patrick and the music organized by (ugh) Marty Haugen. First of all, I, personally, reject out of hand anything by Marty Haugen. However, the priest in this discussion said that because the text was drawn right from the prayer of St. Patrick, there was nothing objectionable in it and could be safely used. I thought this argument fallacious for several reasons. When we examine what music to use in the Divine Liturgy, we must look at three criteria: the text itself, the musical composition, and the intent of the author. Now, in this particular case, there is no problem with the text (the dignity of the English translation notwithstanding). It is lifted right from St. Patrick's Breastplate and, interpreted in light of Tradition, is doctrinally sound. Next, musical composition: herein is where many people who are musically inclined (myself included) object to writers like Haugen, Haas and Michael Joncas. Musically, the pieces do not elevate the mind to contemplate heavenly realities but are modeled after secular music. Pope Pius X in his 1903 motu proprio Tra le Sollecitudini declared that "musical compositions of modern style which are admitted in the Church may contain nothing profane, [must] be free from reminiscences of motifs adopted in the theaters, and be not fashioned even in their external forms after the manner of profane pieces." So even in its external forms sacred music must not imitate profane music. This is what the sappy music of Haugen does regularly. Therefore, this piece should have been ruled out by this criteria alone. But perhaps the third criteria is the most important and most neglected in evaluating hymns to use in the Mass: intent of the author. We know, from many statements and from lyrics of several of his songs, that Marty Haugen is a heretic who believes in women's ordination, denies the Real Presence and adheres to all of the other modernist errors. Therefore, even though Haugen can (and usually does) quote directly from Scripture or prayers of the Saints, we must look not just at the text but at what he means by the texts he quotes. For example, when he quotes the Gosepl of Luke in his communion song "Blest Are You", he says, "Come and know the one who brings you life / In the breaking of the bread, in the breaking of the bread." Now, this is lifted directly from the Scriptures (the disciples on the road to Emmaus meeting Christ and knowing Him in the breaking of the bread). However, we know what Haugen intends when he says "breaking of the bread." He does not mean the Real Presence of Christ as taught by the doctrine of Transubstantiation, but a spiritual presence of Christ that is found in the community breaking bread (just bread) together in memory (just memory) of Christ. Therefore, though the text is licit, the intent is laced with heresy. This is what the Church defines as ambigua or suspecta de haeresi, errorem. This principle is the reason why it is not fitting to use Protestant hymns, no matter how noble, in the Mass. For example, in Amazing Grace by John Newton (which is unfortunately sung in Catholic parishes more than Panis Angelicus nowadays), Newton says, "Amazing grace! How sweet the sound that saved a wretch like me! I once was lost, but now am found; was blind, but now I see." There is nothing wrong with these words; they are actually a rather beautiful meditation on the goodness of God's grace. But, being a Protestant influenced by New England Calvinism, we know that Newton's idea of what grace is was profoundly different from that of Catholic orthodoxy. Grace, for him, implies predestination, irresistable grace, sola fide and all of the other Protestant errors. Therefore, this song should not be used in Mass because it fails our third criteria (and, our second as well, perhaps). It is not an allowable practice to take a song heretical in meaning and simply reinterpret it in a Catholic way. Therefore, don't be fooled just because the texts of Haugen and Haas are lifted from Scripture. The text is not all that matters. But of course, this whole conversation should be moot because we should not even be singing these kind of hymns in Mass at all. As Sacrosanctum Concilium says in article 116, "The Church acknowledges Gregorian chant as specially suited to the Roman liturgy: therefore, other things being equal, it should be given pride of place in liturgical services." Well, was it abrogated or not? In continuing our discussion from yesterday on some of the odd points of "Summorum Pontificum", we come to the issue of whether the old Mass was ever abrogated. Now, it is obvious to all parties that for the past forty years there has been a de facto supression of the old Mass; that much is beyond doubt. We are concerned here with whether there has ever been a de jure supression. Pope Benedict seems to be saying that it was never abrogated de jure. Look at article two of the motu proprio, which says, "It is therefore permissible to celebrate the sacrifice of the Mass following the typical edition of the Roman Missal promulgated by Bl. John XXIII in 1962 and never abrogated, as an extraordinary form of the Liturgy of the Church." Here, Benedict clearly states that the Mass of John XXIII was never abrogated. However, if it was never abrogated, why the need of the indult "Quattuor Abhinc Anno"? Look at Benedict's language just a paragraph up: "...in 1984 the Supreme Pontiff John Paul II, moved by a concern for the pastoral care of these people [those attached to the TLM], with the special indult 'Quattuor Abhinc Anno,' issued by the Congregation for Divine Worship, granted permission to use the Roman Missal published by Blessed John XXIII in 1962." So, here we have Benedict referring to the 1984 indult as granting "permission" to again use the 1962 Missal. Now, why do we need "permission" to celebrate something that was "never abrogated?" Let's look at the original indult. It says: "...the Supreme Pontiff, in a desire to meet the wishes of these groups [those attached to the Missal of 1962], grants to diocesan bishops the possibility of using an indult whereby priests and faithful, who shall be expressly indicated in the letter of request to be presented to their own bishop, may be able to celebrate Mass by using the Roman Missal according to the 1962 edition..." So here, we have John Paul II "granting" to the bishops the "possibility of using an indult." Now, the definition of an indult, generally, is a "dispensation; privilege granted for something not permitted by Church." Again, if an indult is required to celebrate the old Mass, doesn't that imply that it was formerly supressed if a dispensation is required in order to celebrate it? There is still much that is unclear about this issue, and perhaps this document, like so many others, will require nine more documents interpreting it for us. In this I concur with Fr. Chad Ripperger on his statement that the Magisterium in the past forty years has gotten use to making sloppy statements without either watching their language or checking previous documents to make sure there is no ambiguity. Click here to read this article by Fr. Ripperger on the post-Vatican II Magisterium and its statements. Click here for "Summorum Pontificum"
Well, is there one rite or two? "Art 1. The Roman Missal promulgated by Paul VI is the ordinary expression of the 'Lex orandi' (Law of prayer) of the Catholic Church of the Latin rite. Nonetheless, the Roman Missal promulgated by St. Pius V and reissued by Bl. John XXIII is to be considered as an extradordinary expression of that same 'Lex orandi," and must be given due honor for its venerable and ancient usage. These two expressions of the Church's Lex orandi will in no way lead to a division in the Church's 'Lex credendi" (Law of belief). They are, in fact, two usages of the one Roman rite." 4. We must prepare for this many-sided inconvenience. It is the kind of upset caused by every novelty that breaks in on our habits. We shall notice that pious persons are disturbed most, because they have their own respectable way of hearing Mass, and they will feel shaken out of their usual thoughts and obliged to follow those of others. Even priests may feel some annoyance in this respect... So what is to be done on this special and historical occasion? First of all, we must prepare ourselves. This novelty is no small thing. We should not let ourselves be surprised by the nature, or even the nuisance, of its exterior forms. As intelligent persons and conscientious faithful we should find out as much as we can about this innovation... As We said on another occasion, we shall do well to take into account the motives for this grave change. The first is obedience to the Council. That obedience now implies obedience to the Bishops, who interpret the Council's prescription and put them into practice. And later on, he speaks of the loss of the Latin language:8. It is here that the greatest newness is going to be noticed, the newness of language. No longer Latin, but the spoken language will be the principal language of the Mass. The introduction of the vernacular will certainly be a great sacrifice for those who know the beauty, the power and the expressive sacrality of Latin. We are parting with the speech of the Christian centuries; we are becoming like profane intruders in the literary preserve of sacred utterance. 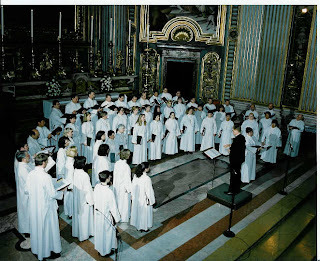 We will lose a great part of that stupendous and incomparable artistic and spiritual thing, the Gregorian chant. 9. We have reason indeed for regret, reason almost for bewilderment. What can we put in the place of that language of the angels? We are giving up something of priceless worth. But why? What is more precious than these loftiest of our Church's values? This document is amazing. Notice that, in contradiction of Benedcit XVI, Paul VI in article two clearly calls the Novus Ordo a "new rite of Mass" and calls it a "liturgical innovation." The new Mass is twice called an "innovation." It is a "change in a venerable tradition." Perhaps most amazing of all, it is described as a "many sided inconvenience," a "novelty," an "annoyance," a "nuisance." He refers to the Novus Ordo as a "grave change." After expressing the beauty of Latin, Paul VI says those who alter the Latin terminology are like "profane intruders." Now, if Paul VI (who by the way, is the one who promulgated the Novus Ordo that is named after him), if even the promulgator of the Novus Ordo calls it a "new rite", a "grave change"and a "liturgical innovation", what are we to make of Benedict XVI's bold assertion that it is not a new rite? It looks like he is trying to pull the liturgical wool over our eyes. There can be no true reform until there is some kind of admission of the failure of the Novus Ordo and the acknowledgement that the Mass of St. Pius V (the Mass of Gregory the Great, really) is the normative Lex orandi of the Church. One thing is certain: this bunk about the Novus Ordo faithfully preserving the riches of Catholic Tradition is just that: bunk. Click here to see Summorum Pontificum. 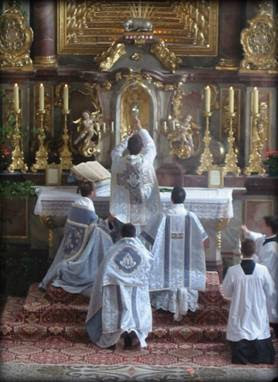 Since the release of Summorum Pontificum, many have criticized Traditionalist Catholics for their perceived uptightness about liturgical matters. "Why be so finicky about the liturgy?" they say. "There are more important issues to get upset about! Issues like poverty, war, abortion and social justice! Why get all worked up about liturgical reform? It is just a matter of aesthetics anyhow!" While the above topics certainly are worthy of attention, liturgy takes a special place because in the Divine Liturgy we worship God Himself. Remember when Judas was indignant with Mary of Bethany for anointing the feet of Jesus? "Why was this ointment not sold for three hundred denarii and given to the poor?" Jesus said, "Let her alone...the poor you have with you always, but you do not always have me" (John 12:5,7). When we adore and worship Jesus, we are performing a supremely important action; in fact, it is the action we were created to do. Nadab and Abihu, the sons of Aaron, are consumed by divine flame for offering unholy fire before the Lord, fire "such as the Lord had not commanded them" (Lev. 10:1-3). A man is put to death under God's Law for not honoring the day of rest by picking up sticks (Num. 15:32-36). The day of rest was supposed to be the day on which God was worshipped. 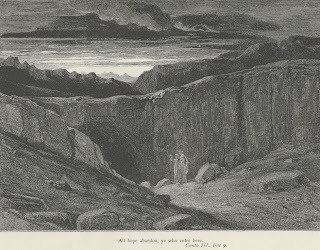 Korah, Dathan Abiram and their party are consumed by fire and swallowed up into the earth because they sought to usurp the priestly role of Aaron. Their heresy was that they asserted that "all the congregation is holy, every one of them, and the Lord is among them" (Num. 16:1-40). Hophni and Phineas, the two wicked sons of Eli the High Priest are marked out for death by God because they partook of consecrated meat from the offerings made to the Lord at the Tent of Meeting (1 Sam. 2:12-4:11). King Saul offers a sacrifice because the priest Samuel is late in arriving for the ceremony. As a result, God rejects him from being King, he becomes tormented by evil spirits and is slain on Mount Gilboa (1 Sam. 13:8-14). 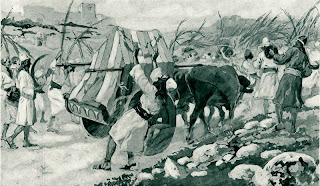 Uzzah is struck dead because he touched the Ark, the supreme object of Israelite liturgical worship (2 Sam. 6:7). King Uzziah of Judah is smitten with leprosy "to the day of his death" for trying to offer incense in the Holy Temple in violation of the law permitting only priests and levites from doing so (2 Chr. 26:16-21). St. Paul warns the Corinthians that improper reception of the Holy Eucharist can merit death by profaning Christ's Body (I Cor. 11:27-33).Judging by all of these examples, it would seem that God's wrath was more provoked by Korah and Dathan usurping the priestly role of Moses than by Manasseh slaughtering infants. We know from Scripture that Manasseh was taken into captivity, had time to repent, and indeed did repent of his wickedness. But we know that Uzzah, Dathan, Korah, Nadab and all the rest on this list were slain immediately without time for afterthought or repentance. All of the people on this list died because they violated Old Testament prescriptions regarding the proper worship of God in one way or another. Therefore, let anybody who is tempted to think that the proper worship of God is not important (supremely important! ), that it does not matter whether we use Gregorian Chant or guitars and bongos in Mass, that "slavishly accurate" liturgucal translations are not vital, that God is not outraged by Clown Masses, Guitar Masses and all the rest of the abominations we hear about, let them remember St. Paul's admonition in the epistle to the Hebrews: "A man who has violated the Law of Moses dies without mercy at the testimony of two or three witnesses. How much worse punishment do you think will be deserved by the man who has spurned the Son of God and profaned the blood of the covenant by which he was sanctified, and outraged the Spirit of Grace. For we know Him who said, "Vengeance is Mine, I will repay." And again, "The Lord will judge His people." It is a fearful thing to fall into the hands of the living God" (Heb. 10:28-31). "On a cool and cloudy Saturday morning in late April...representatives of 50 base communities ["base communities" = parishes. The phrase sounds more "proletarian" than the term "parish", which reminds one of yucky authoritarian medievalism] gathered at the St. Paul the Apostle Church on the east side of this sprawling city, in an area of humble workers' residences and squatter slums. what are you doing just standing there? so arise, people, don't stand still! Afterward, discussion turned to other social problems, chief among them a lack of proper sanitation. A representative of the left-wing Worker's Party [Workers = Marxist] discussed strategies to press the government to complete a new sewer project. Congregants agreed to organize a campaign to lobby for it. In other areas here, liberation theology advocates have strong links to labor unions. At a May 1st Mass to commemorate International Labor Day [wait a minute, aren't they supposed to be celebrating the Feast of St. Joseph the Worker that day? ], they draped a wooden cross with black banners labeled "imperialism" and "privatization" and applauded when the homily criticized the government's "neoliberal" economic policies, the kind Washington supports. 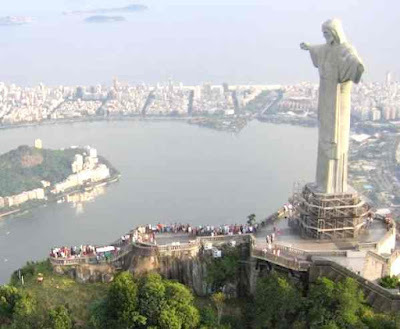 "We believe in merging the questions of faith and social action," said Valmir Resende dos Santos, a liberation disciple who brings base communities and labor groups together in the industrial suburbs here. "We advise groups and social movements, mobilize the unemployed, and work with unions and parties, always from a perspective based on the Gospel." Hans Kung Honored...By the Freemasons! Dissident theologian Hans Kung was recently awarded the "Kulturpreis Deutscher Freimaurer" (Culture Award of German Freemasons), for a "lifetime of service to the Craft" and for being a "free and brave thinker." Kung lost his mission canonica, the faculty to teach Catholic theology, in the 1980's. Kung rejects the Church's infallibility, posits that any baptized person has the power to confect the Holy Eucharist, denies that bishops receive their teaching authority from Christ, and denies that Christ is "consubstantial" with the Father. In his book On Being a Christian, Kung denies the bodily resurrection of Jesus (p. 350), denies that Christ founded the institutional Church (p. 109), denies the divinity of Christ (p. 130), dismisses the miracles of the Gospel (p. 233), and denies that the Mass is the representation of Calvary (p. 323). If ever there was a man deserving of an award for a "lifetime of service to the Craft," it is Hans Kung! Archbishop Raymond Burke, St. Louis- Archbishop Burke resigned as board chair of the Cardinal Glennon Children's Medical Center because of pro-abortion singer Sheryl Crow's appearance at an organizational fundraiser. "It's very painful for me," he said, "but I have to answer to God for the responsibility I have as Archbishop. A Catholic institution featuring a performer who promotes moral evil gives the impression that the Church is somehow inconsistent in its teaching." Bishop John Nienstedt, New Ulm, Minn. - Long known for challenging Hollywood, stem-cell research and people who chat in church before liturgies, Bishop Nienstedt will succeed Harry Flynn as Archbishop of St. Paul and Minneapolis. 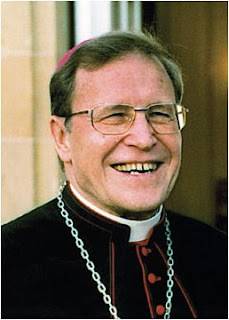 As Bishop of New Ulm, Nienstedt condemned the heterodox theology of his predecessor Bishop Raymond Lucker, prohibited cohabitating couples from being married in Catholic churches and barred female pastoral administrators from leading prayers at a semiannual leadership event. He once disciplined a priest for holding joint ecumenical services with a Lutheran congregation. In his monthly diocesan column, Nienstedt wrote that people become gay or lesbian as a "result of psychological trauma" when a child is between the ages of 18 months and 3 years. Homosexuality, therefore, "must be understood in the context of other human disorders: envy, malice, greed, etc." He further advised parishioners to avoid the movies Brokeback Mountain - "a story of lust gone bad" - and The Da Vinci Code, based on a novel that is "pure evil in its intent." Bishop Frank Dewane, Ft. Myers, Fla. - After a concerned parishioner brought Bishop Dewane photographic evidence of an occultic Yoga class being carried out around the altar in her parish chapel, Bishop Dewane immediately ordered the offensive classes discontinued. Though we may not approve of some (uh, that is, much) of what our bishops say and do, those who truly stand up against heresy and false doctrine in the spirit and power of Elijah (who ordered the false prophets of Baal slain) deserve our commendation. Though I am shocked and amazed by it, the statement that Walter Cardinal Kasper made recently regarding the document on Lumen Gentium seems pretty orthodox! Given his history of idiotic statements with regards to Catholicism and Judaism (like his famous foolish assertion that Jews did not need Jesus because the Old Covenant was enough to save them), I was expecting him to say something equally stupid with regard to the Protestants. However, he took the position of defending the document and firmly held to traditional Church teaching. Perhaps the only thing wrong with his statements is his overuse of the word "dialogue", though he does of good job of pointing out that dialoguing assumes those involved define their positions, which is all that the CDF did with their document. Though Kasper's position on Judaism makes my skin crawl, I have to give praise where praise is due. Good job Cardinal Kasper! Read the his statements here on the Zenit website. There is much talk on religious dialogue these days, especially in light of the CDF document on Lumen Gentium and the Motu Proprio's eliciting of (in my opinion, misplaced) concerns by Jews worried about anti-Semitism. All of the groups offended by the Vatican recently have made the claim that the Church's statements are destroying the unity and togetherness that has been built up since the Second Vatican Council. This begs the question, what are we uniting around? What is the source of our togetherness? What is the point of having any "religious dialogue" if we are not going to boldly proclaim our faith? In the old days, the Church spoke of evangelizing the nations. Now, the word "evangelization" has been robbed of so much of its content that it hardly means anything anymore other than being a "living witness" and totally leaves out the notions of proclamation, apologetics, argumentation and conversion. There is no point having dialogue with Jews, Muslims or Protestants unless our goal (in the end) is to show them the truth, goodness and beauty of the Catholic faith. The Jew replied that he had no belief in any of those things. Thereupon the knight told the Jew that he had acted like a fool when -neither believing in the Virgin, nor loving her- he had set foot in that monastery which was her house. 'And by heaven', exclaimed the knight, 'I'll make you pay for it!' So he lifted his crutch and struck the Jew such a blow with it near the ear that he knocked him down. Then all the Jews took to flight, and carried their sorely wounded rabbi away with them. Thus the conference ended. The abbot went up to the knight and told him he had acted most unwisely. The knight retorted that the abbot had been guilty of even greater folly in calling people together for such a conference, because there were many good Christians there who, before the discussion ended, would have gone away with doubts about their own religion through not fully understanding the Jews. 'So I tell you,' said the king, 'that no one, unless he is an expert theologian, should venture to argue with these people. But a layman, whenever he hears the Christian religion abused, should not attempt to defend its tenets, except with his sword, and that he should thrust into the scoundrel's belly, and as far as it will enter." Now, whatever we may think today about sticking swords into people's bellies, notice the wise words of the knight in the third paragraph. The knight says that the abbot was wrong in even calling such an interreligious meeting, because (a) Christians hearing it would be liable to call their own faith into doubt (b) they would gain no real understanding of the Jewish faith, and (c) though Louis did not mention it, I would say that the Jews would not have converted anyway. This insight is so true! How many Jews, Muslims or Hindus have converted to Catholicism because of interreligious dialogue? None. But how many Catholics have had their faith shaken, watered down, or thought it was okay to mix religious practices with non-Catholics because of this "dialogue"? Their number is legion. Well, it looks like my prediction about Protestants getting angry about the CDF's document clarifying Lumen Gentium was well founded, as all across the nation Protestant clergy protest what they see as the belittling of their faith by the Pope. Below I have the whole article by Gregg Krupa (USC commentary in red). I have included his emal address and phone number at the bottom; please contact him and let him know what you think of the article. Protestant leaders in Metro Detroit fear that a recent pronouncement by Pope Benedict XVI about their denominations will discourage decades of ecumenical efforts and calls into doubt whether he desires a constructive dialogue ["dialogue," one word I despise] between Catholics and Protestants. Some Catholic clergy interpret the document as a clarification of the status quo, and say it will have no effect on years of interfaith work, dialogue and worship. But even some Catholics say [Uh oh. Here comes the liberal theologians!] they fear the Pope's view may stifle interfaith cooperation. "It is a very rigid understanding of the faith that doesn't leave any room for the kind of friendship that people of faith can provide, that will enhance the truth as we understand it," said Bob Bruttell, who teaches religious studies at the University of Detroit Mercy. ["Irenicism": a belief that unity is more important value than truth. This concept was condemned Pope John Paul II in Ut Unum Sint] "The pope is putting our Catholic faith into a place that is going to be very difficult for us to work out of." Protestant clerics also objected to the document. "No one has the lock on the truth just because of a title or name," said the Rev. David Eberhard, pastor of Historic Trinity Lutheran Church in Detroit. "I think that it's a step backward for the Roman Catholic Church. The term Catholic is not the sole property, ownership and title of the Roman Catholic Church [What? Where does he get this notion from? What else to people think of when you say the "Catholic Church?]. It is a universal church that believes in Jesus Christ as the savior." The stated purpose of the document was to clarify church positions about Christian denominations first asserted by the Second Vatican Council, a three-year conference ending in 1965 that changed some policies of the church [Policies, yes, but not doctrines. And the doctrine that the Roman Catholic Church was founded and established by Christ, and as such is the only authentic Church, is a dogma of our faith that will never be changed]. In his tenures as both pope and a cardinal, when he led the Congregation for the Doctrine of the Faith, Benedict has been perceived as in the vanguard of a conservative [secular media can only view the Church in terms of conservative vs. liberal. It is much more complex than that!] view that some of the reforms of the seminal conference were not intended as significant change. Whether re-authorizing the "old, Latin Mass," as many Catholics call it -- which he did last week -- or issuing a clarification on the status of Christian faiths, the pope is seen as stressing the continuity of the reforms with earlier church dogma. Catholic clergy say, most emphatically, that the pope is not saying that salvation is unavailable except through the Roman Catholic Church. The other denominations provide a path to salvation, too [the document acknowledges this, although I wouldn't say the other denominations provide a "path to salvation", as if there were more than one path. Rather, what the pope means is that it is possible for Protestants to be saved; but, if they are saved, it is because of graces that come through the Catholic Church, not through their own]. But many Protestants say they believe the pope has discounted their faith for a second time in seven years, since he issued a similar statement when he was Cardinal Ratzinger. When asked if he feels there is a forum in which the issues can be addressed, Huhtala was not hopeful. "I don't even know what the avenue would be," he said. "I have always assumed that there was a sense of camaraderie and togetherness [But again, togetherness around what? The togetherness has to be around something and the "dialogue" has to tend towards something. We are not just talking for the sake of talking!] . 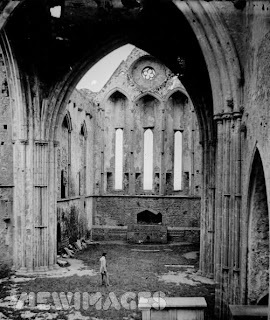 But a couple of his comments seem to diminish anyone but the Roman church." Catholic leaders sought to reassure other Christian denominations that the Pope has done nothing to discourage the interfaith work, which they assert he has long championed. The document serves as instruction to Catholics involved in ecumenical efforts "to make sure they properly represent the church in the dialogue," said the Rev. James Massa, executive director of the secretariat of Ecumenical and Inter-religious Affairs of the U.S. Conference of Catholic bishops. "Catholics are not pulling out of the dialogue," Massa said. "We will continue to minister to inter-church families, continue to cooperate with our Protestant partners at the local level, continue to pray with them, continue to engage in works of charity and justice with them and continue to study with them ways in which we can advance the cause of religious unity," Massa said. "I think that Benedict is probably taking that as an opportunity to bring people into one true church," [I'll say! Good insight!] said John Keydel, canon for ministry and development for the Episcopal Diocese of Michigan. "I don't see it impacting the Episcopal church, at all -- unless we get disaffected Romans who want something very much like what post Vatican II liturgy has been like. We're not looking to take advantage of it, but we're certainly offering people a spiritual home" [Oh, I see! 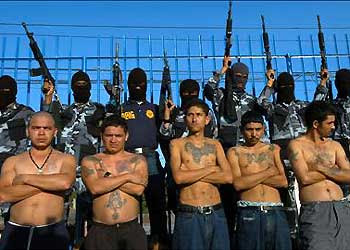 You don't mind if your denomination attracts new members, but God forbid we assert that people should convert to ours!] . Other Protestants said Benedict might be appealing to his conservative base of supporters [There's that tired old political analogy again; "conservatives" and "base of supporters." A College of about a hundred or so chooses who will fill the Papal throne, not a "base of supporters"] . "I do understand that he has pastoral challenge or debate within the Roman church and he is leaning towards the pre-Vatican II interpretation," said Gustav Kopka Jr., a pastor of the Lutheran churches in Metro Detroit, long active in ecumenical affairs. "The document will encourage those who have been wanting to have something more rigidly understood, all along" [Wow! The Protestant commentator understands the situation better than the liberal Catholic theologian quoted above! *sigh*] .